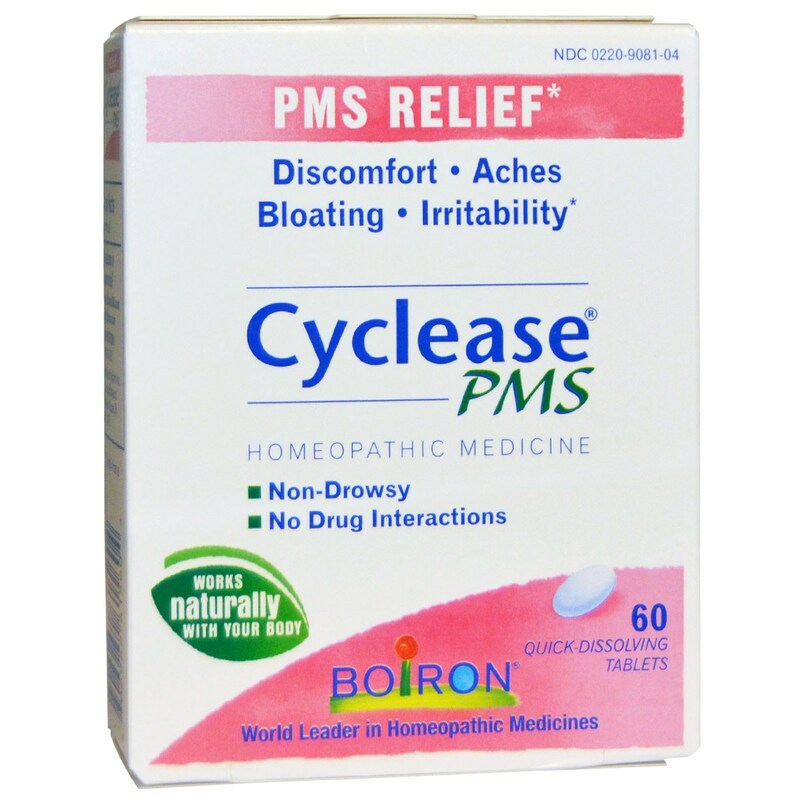 Cyclease, The PMS Remedy by Boiron works alongside the natural processes of your body instead of against them. Warnings: If conditions persist or grow worse, consult you physician. Ask a doctor before us in children under 12 years of age. Stop use and ask a doctor if symptoms persist for more than 7 days or worsen. If pregnant or breast-feeding, ask a health professional before use. Keep out of reach of children. Notes: Read all instructions, ingredients and warnings before using this product. Active Ingredients: Folliculinum 15C HPUS, Natrum muriaticum 12C HPUS and Sepia 12C HPUS. 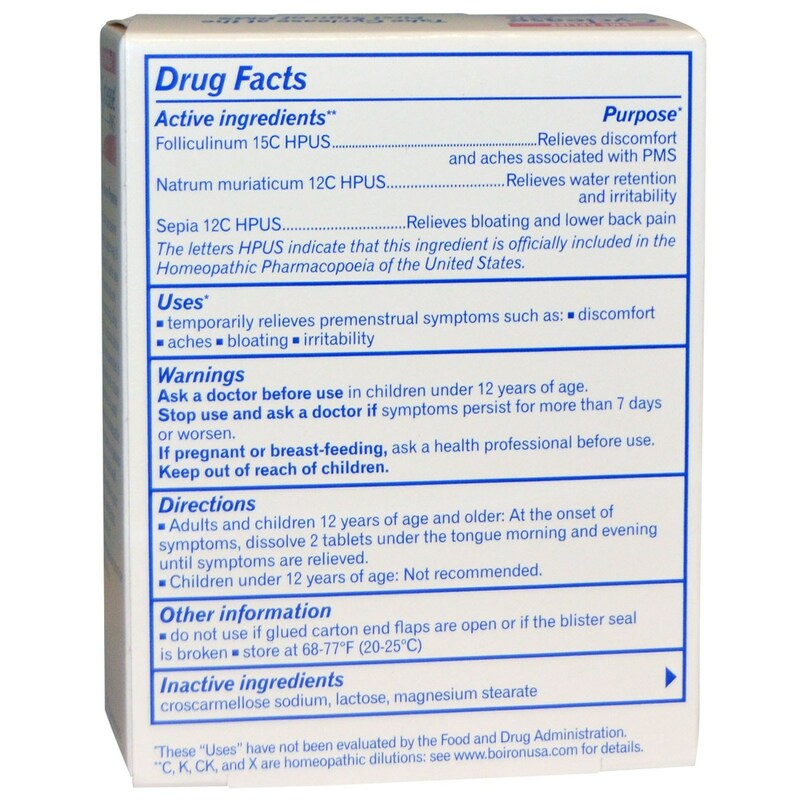 Recommended Use: Adults and children 12 years and over: Dissolve 2 tablets in the mouth every 15 minutes for 3 doses. Repeat as needed. The customer reviews posted below are based on individual consumer experiences and may NOT necessarily represent what expected results will be from using or taking Boiron Cyclease- The PMS Remedy - 60 Tablets. These results may not be typical and you should not necessarily expect to receive the same results. Actual results may vary. I bought this as an alternative to taking tons of ibuprofen to help with aches, etc. Bonus that it does seem to help with bloating and irritability too.